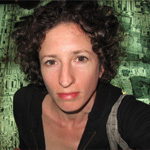 Lize Mogel is an interdisciplinary artist who works with the interstices between art and cultural geography. She has mapped public parks in Los Angeles; cultural migration patterns in Idaho; and future territorial disputes in the Arctic. Her recent projects rethink popular representations of the world as it is shaped by global economies. Exhibitions include the Sharjah Biennial, Gwangju Biennal, and the Pittsburgh Biennial, PS1’s Greater New York, Casco (Utrecht), HMKV (Dortmund), and Experimental Geography (touring). She is co-editor of the book/map collection An Atlas of Radical Cartography and co-curator of the related exhibition An Atlas. She frequently collaborates, and has worked with Alexis Bhagat, the Temporary Travel Office and Sarah Ross, the Center for Land Use Interpretation, and the Journal of Aesthetics and Protest. She has received grants from the Graham Foundation, Jerome Foundation, the LEF Foundation, the Los Angeles Department of Cultural Affairs, and the Danish Arts Council for her work.